End of the Road for Martin Johnson? And so the post mortem begins… Saturday’s poor performance against the French was just one in a succession of lacklustre showings and it begs the question; Has Martin Johnson taken this England team as far as he can? It certainly isn’t the first time that Johnson has faced major scrutiny for his coaching ability since taking over the National side but this time it could prove fatal to his hopes of taking this current crop any further. At the start of his reign he was criticised for leading the side with a lack of invention, but in truth he was hampered by a lack of emerging exciting talent. When he took up the post Danny Cipriani was the emerging talent of British rugby and Johnson gave him every chance to prove his worth both on and off the field but sadly Cipriani’s rather apparent shortcomings as a character and injury problems cut short any plans Johnson may have had to build an energetic and exciting side around him. Johnson initially received criticism for exiling Cipriani from his plans, but in time this has decision has become increasingly justified by a string of indisciplines from the former London Wasps man. Since Cipriani’s rather fractious character blew Johnson’s first shot at bringing invention and creativity into the back line he has worked hard on enhancing England’s attacking threat and has made several very positive introductions. Under his tenure players such as Courtney Lawes, Tom Croft, James Haskell, Ben Youngs, Ben Foden, Delon Armitage, Chris Ashton and Manu Tuilagi have come to the fore as International players, which is testament at least to Johnson’s desire to make some attacking team selections. Such introductions have over the past eighteen months begun to reap rewards and the victory over Australia in last year’s autumn internationals stands out as the prime example. This attacking intent seemed to carry on in to the 6 nations campaign at the start of the year, with the likes of Ashton, Foden and Youngs continuing to develop nicely as International players. Though this campaign ended on a sour note with a disappointingly tame defeat against Ireland, Johnson it seemed was beginning to win over his critics. How sad it is then that England have carried the form demonstrated in the Ireland match on into their World Cup warm-ups and then the tournament itself. Finally it appeared that Johnson had overcome many of his doubters, finally it appeared that an England side under his tutelage had become capable of balancing attacking intent with defensive stability and a winning mentality but after a poor World Cup the public have again been left to feel underwhelmed by his ability to take this team forward and utilise the potential at his disposal. England now appear to have regressed by a year to the period before the incredibly exciting victory over the Aussies at Twickenham, and sadly the World Cup has left a feeling that they are back to square one again in their preparations to challenge strongly once again on the World’s biggest stage. 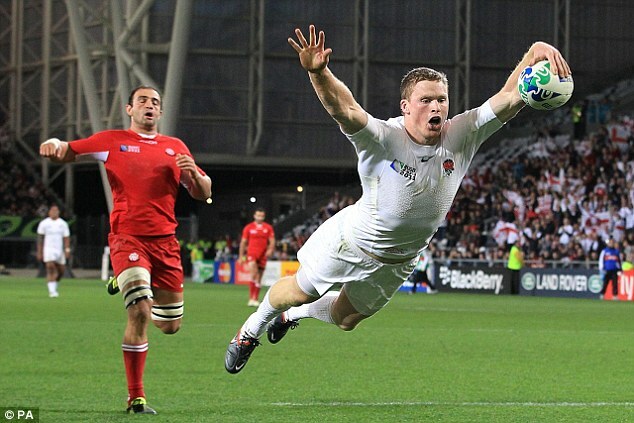 It is in fact arguable that England have regressed further than just back to the pre-autumn international era in 2010. This is because of the worrying off-field actions of the players throughout the tournament which continued recently with Manu Tuilagi’s moment of madness jumping off of a ferry. He was rightly questioned by the authorities for his incredibly stupid actions and sadly it was just one of a long line of on and off-field misdemeanours. How England go forward from here is very much down to the RFU and the post-World Cup review that will be headed by Rob Andrew. Andrew himself knows full-well that Martin Johnson can be a fantastic leader having played alongside him at International level and then having worked with him throughout his few years as Coach, but the question he must answer is whether Johnson is the right man to take England’s current squad where they need to go. It is not unreasonable to set a target of winning the next World Cup for the current pool of English players but if this is to be the ultimate aim for the next few years then Andrew must come to a decision as to who is best equipped to lead England to this goal. Martin Johnson has spent his entire period of charge defending his strategy and selection. If this is to be the end for him as England Coach then his time leading the side in this capacity won’t be remembered as fondly as his years of captaincy. He has been fighting a losing battle in trying to emulate his playing achievements and sadly to this point he has come up short. Another consideration for the RFU may well involve releasing Johnson now with a view to reinstalling him further down the line when he may have learnt from his shortcomings and may have achieved highly in charge of a domestic club side such as his beloved Leicester Tigers. The future is very uncertain for Johnson and English rugby, but the RFU can be sure that they have an exciting squad in the making if only they are given the best guidance on offer. Another day another stuttering victory for England. Another day another bout of criticism, only this time it has come very firmly from within as well as from the media and supporting public. 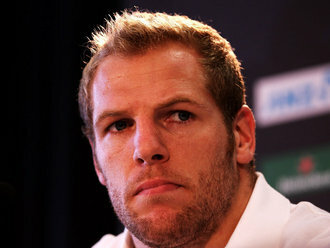 James Haskell’s frank dressing-down of England’s display was on one hand refreshing and on another entirely worrying. It is rare for a sportsman to come out and speak with such bluntness and clear dismay at the performance of their under-fire team mates so in that sense it was a strange and rather wonderful spectacle. However, the very thinly veiled harshness of Haskell’s message is indicative that much is not right within the England camp at present. Usually you would expect members of the side and the coaching staff to support an unconvincing showing provided that it brought with it a solid victory, as was the case today. Whilst offering aid to the cause it is often common place to hear acceptance that things weren’t quite up to the mark but that they soon will be. Haskell’s appraisal of the current state of play though was far less sympathetic as he stated that they can’t possibly “win the World Cup” if things remain as they are, an opinion which was publicly shared by Martin Johnson. One has to wonder whether Haskell’s words were directed entirely at the on-field efforts given the difficult week that the England camp has endured under the scrutiny of the world and it’s wife in the wake of off-field troubles. I think it is wise to steer clear of an in-depth analysis of the week’s off-field dramas other than to say that things clearly got out of hand. You would expect Martin Johnson to defend his men unless huge misdemeanours came to light and this was the case with his moment of tabloid gold in saying “rugby player drinks beer…shocker!” This was a defiant line designed to demonstrate his contempt for the ‘excessive’ media coverage of events but ironically it was lapped up like sweet nectar by the press. His message is understandable and there was a dry-ness to it that provoked a chuckle, but maybe given the furnace-like pressure amidst World Cup fever it would have been wiser to avoid such a provocative remark. Anyway, moving on to yesterday’s match itself… It is fair to say that the game provided a little more optimism than the opener against Argentina but not enough to satisfy the doubters. There was a familiar pattern to the previous match in terms of the game being littered with errors and ill-discipline hence the frustrations that were vented by Haskell and Johnson. Though these are certainly issues to be dealt with before matches against Romania and Scotland there were at least some real positives to be taken from the game. In attack there was a greater intent and desire to move the ball through the hands, which is highlighted by the fact that wingers Chris Ashton and Delon Armitage shared three tries between them. Shontayne Hape and Manu Tuilagi in the centres were also given greater invitation to run attacking lines and this resulted in them each getting on the scoresheet as well. The increased opportunities for the back-line runners must be attributed to the greater urgency and distribution provided by Leicester half-backs Ben Youngs and Toby Flood who were re-introduced as the starting playmakers in the line-up. Flood also must be credited for a stronger goal-kicking performance than Jonny Wilkinson’s against Argentina under the roof at the Otago. There is certainly reason for ongoing concern given that yesterday’s opposition were considerably weaker than Argentina, but Georgia did play beyond their means and England did manage to put forty points on them. The mistakes were again there for all to see and they were alarmingly similar to those present in the nail-biting win over Argentina, but certainly in attack there were signs of improved conviction and invention which should hopefully serve them well going forward. A tough week has now come to an end and England have managed to produce a victory with the always helpful addition of a bonus point for their greater assault on the try-line. Minor improvements there were, but major scope for improvement remains. The England camp will be praying on a quieter week this time around and with it a comfortable win over Romania should be achieved. Familiarity breeds contempt and the off-field dramas need to stop as do the indifferent performances.